People Are Screaming Bad Things At Me!!! Did You Just Call Out Matt Lauer?? 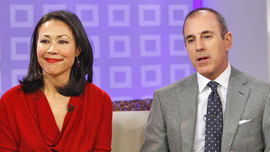 Matt Lauer - the Today Show Villain? Matt Lauer: People are Screaming Bad Things at Me!